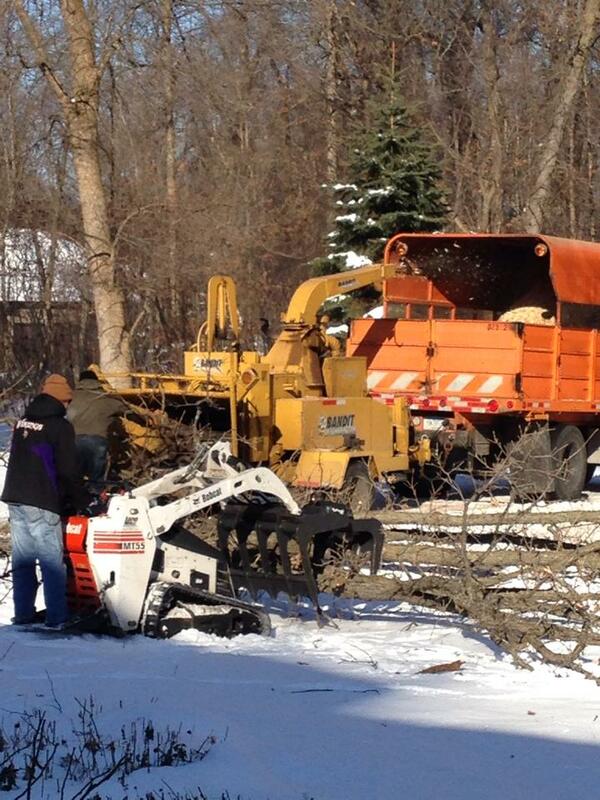 We Service Most Of The Twin Cities! We service all of Minneapolis and St. Paul and North to Cambridge. Check out the map of our primary service area. If your city is not enclosed, please call to tell us about your project. You can move the map and zoom in and out to see a more broad or detailed version of the map. 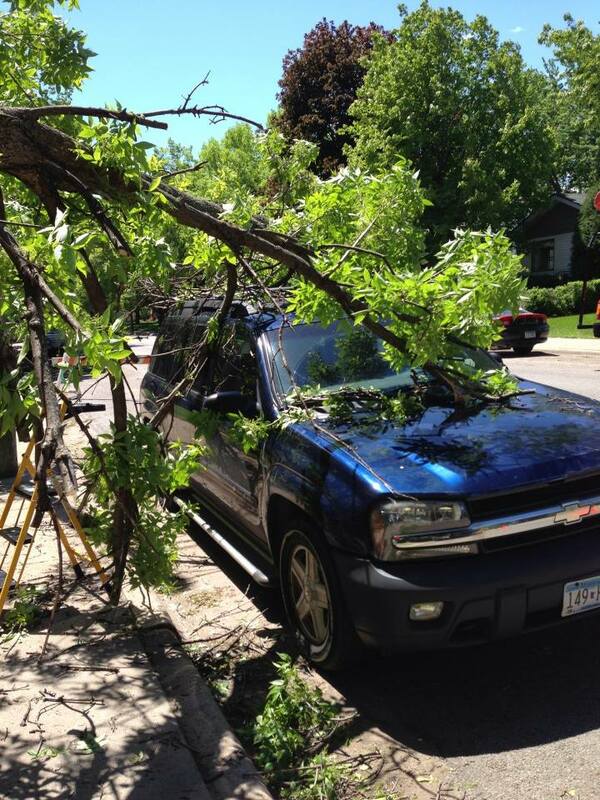 Did you lose a tree due to recent wind or storm damage and you do not have the resources to remove it? We are here to help! 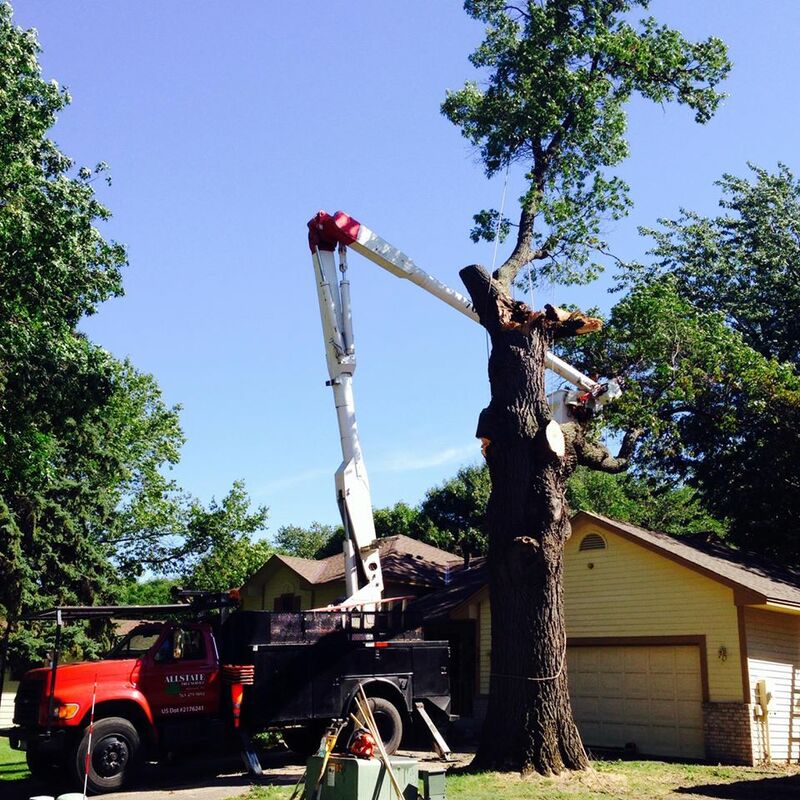 We provide 24 hour Emergency tree service to remove your downed or damaged trees. 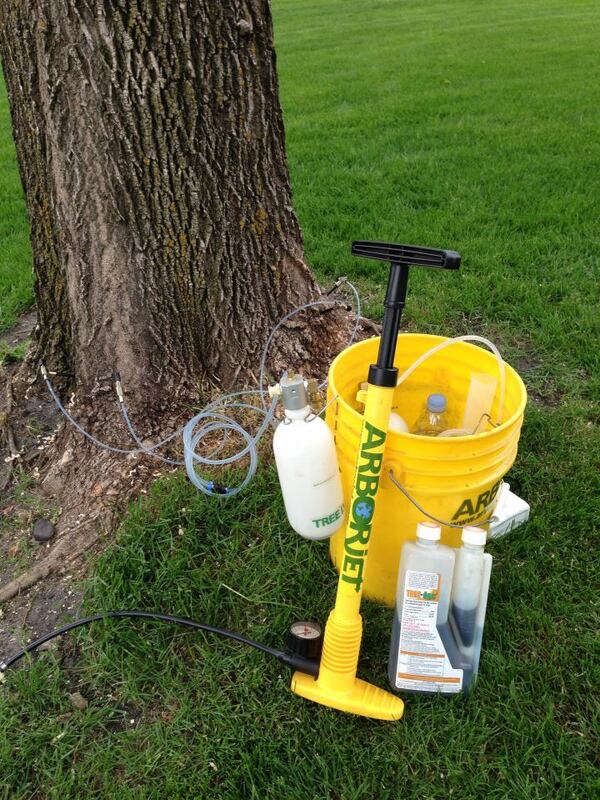 Give us a call anytime at 763-479-9091. Call 763-479-9091 or fill out the Contact Form. We will receive your quote request and get in touch with you promptly! “"If a tree is worth having, it is worth taking care of." 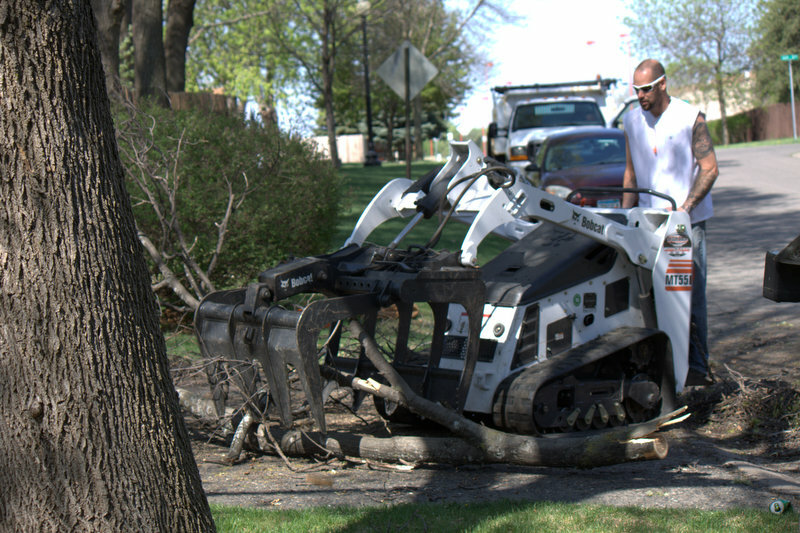 Call 763-479-9091 anytime for a Free Estimate. 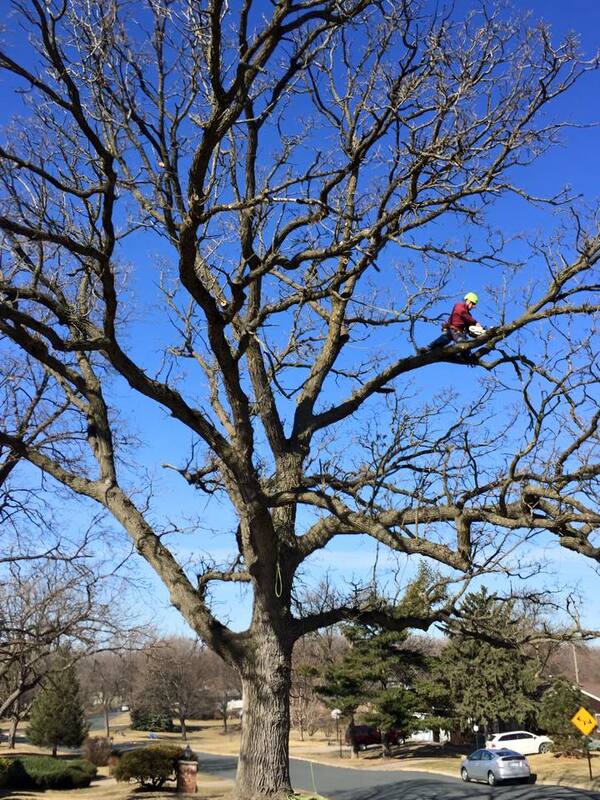 At Allstate Tree Service, we have been taking care of trees for over 60 years. 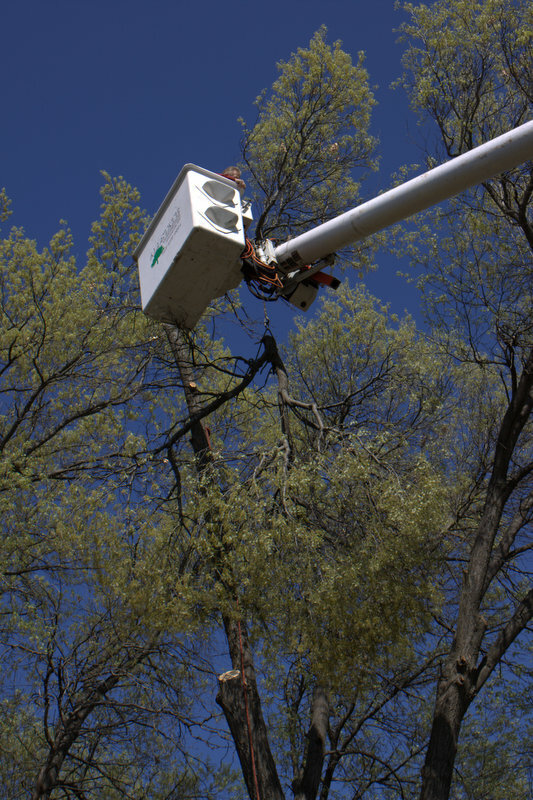 We can help you make the right decision about your tree; whether it needs supportive care, needs to be taken down, or just needs a trim, we will help you determine the best solution to fit your needs and budget. 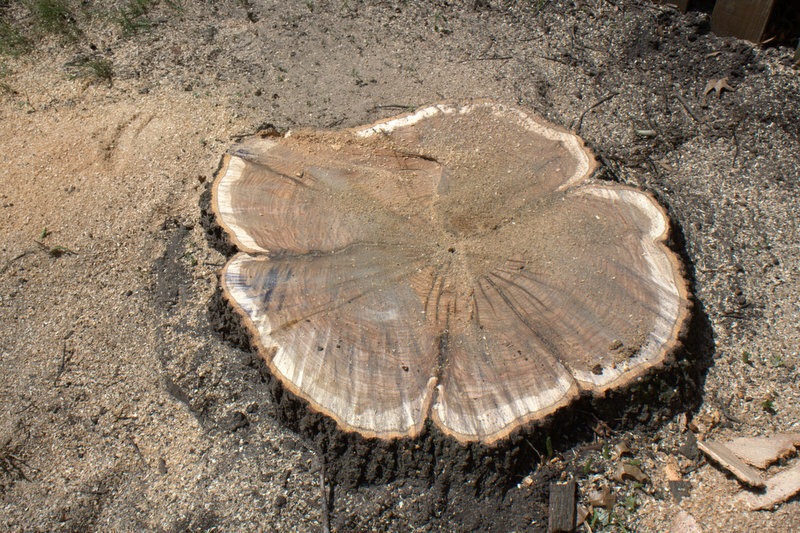 Stumps take up a lot of space, cause new and unwanted tree growth, and attract insects. 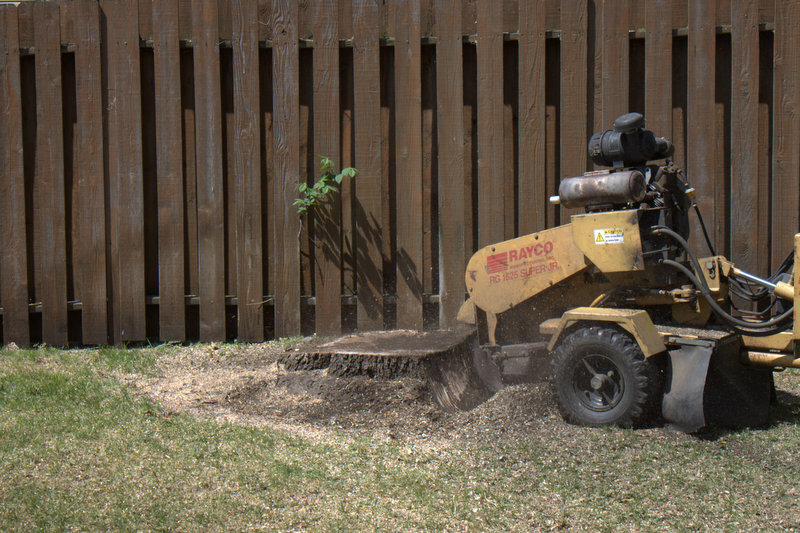 Allstate Tree Service performs stump grindings to take care of these tree-care leftovers. Very professional operation! My go to tree guys!! 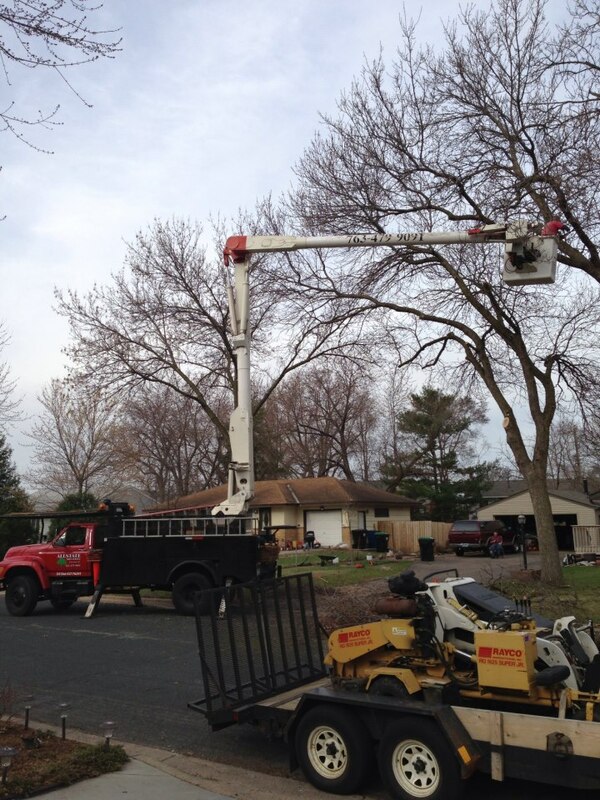 The crew worked as a team and got the job done without ANY damage to the neighbors fence! They cleaned up as they worked and left the yard and driveway as it was when they arrived. The entire crew was courteous and respectful and answered all the questions I had before the job, during and after. 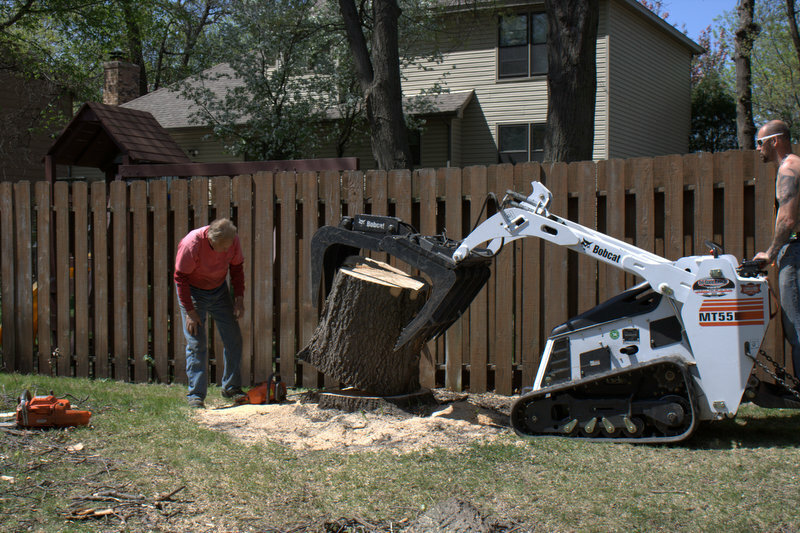 I would definitely recommend this tree service and plan on using them again in the winter months for tree trimming. 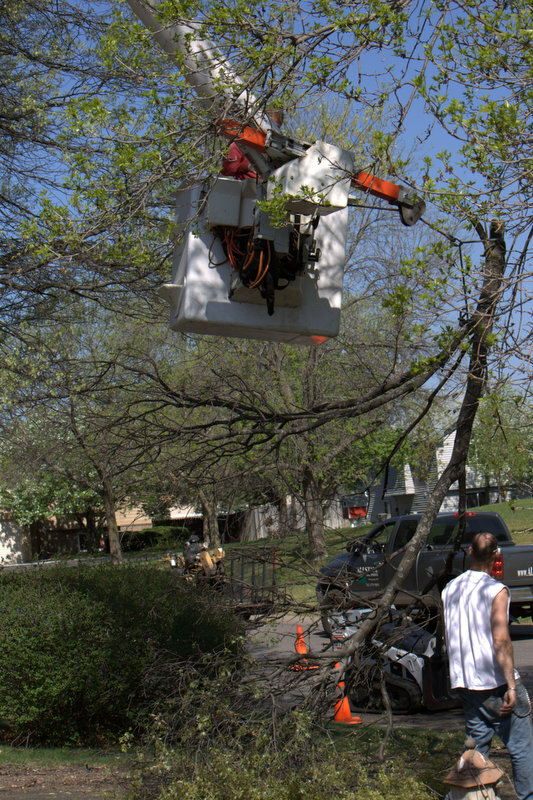 They give you the best service and knowledge for your tree's, and they clean up so good you never knew they removed a tree. They are the best . We had an oak tree fall on our deck during a storm. This crew from All-State was terrific. They were friendly, timely, efficient and easy to work with. They caused no collateral damage and left our property clean when they were finished. They also accommodated our requests. We highly recommend this business and will utilize their services such in the future. Thank you again. Just wanted to say thank you very much for doing a great job cutting down and trimming our trees. Your team was effective and efficient, very nice, and the clean up was outstanding. I will recommend your company to anyone needing your service. Thank you again. Some of our work and equipment! 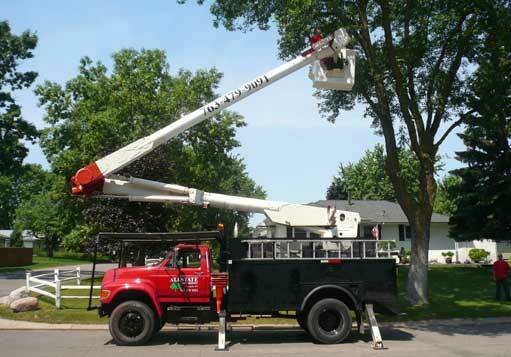 AllState Tree Service All rights reserved.